On Wednesday 28th March I attended the ‘Implementing the Industrial Internet of Things’ event organised by National Instruments. The aim of event was to give an overview of the technologies and considerations needed to implement the Industrial Internet of Things (IIoT). 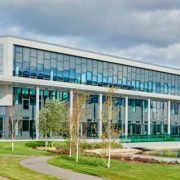 The event took place at the fantastic and very modern looking Advanced Manufacturing Training Centre in Coventry. There was a very varied group of attendees at the event including Engineers, NI Alliance Partners (such as MediaMongrels Ltd), Academics, IT Professionals and even Market Analysts, all looking to learn more about the future of connected industry. Of course, there is nothing new about these components individually, it is the bringing of them together to allow better business and engineering decisions to be made faster that I feel makes up the core idea of the Industrial Internet of Things. The benefits could be a reduction in downtime (e.g. through predictive maintenance) or improvements in productivity and quality (discovering and resolving inefficiencies). As a National Instruments event, they were keen to show how their products and services can be used to deliver IIoT solutions (e.g. using an NI CompactRIO as an edge node, DIAdem for Data Management) but the event didn’t go into specifics or detailed implementation – it was more to provide an overview of the various technologies and to highlight some IIoT success stories. It is clear to see that National Instruments is putting a lot of investment into IIoT – from their IIoT Lab in Austin, IIoT products/services (e.g. InsightCM, SystemLink) to wider collaboration with various related technologies (e.g. Augmented Reality, Industrial Networking). Overall, it was a good opportunity to network with like-minded professionals and interesting to see how previous projects fit within the ‘IIoT’ remit. I also learnt more about some of the new technologies/products that will help deliver IIoT solutions in the future (e.g. Time Sensitive Networking, NI SystemLink). You can find the presentations from the event here. MediaMongrels Ltd. has experience developing solutions that fit into the Industrial Internet of Things – from embedded control and monitoring (edge node solutions) to test asset monitoring & real-time web-based dashboards for process monitoring. Please contact us if you’d like to discuss your requirements. In my first LabVIEW-related blog post, I wanted to talk about a new feature introduced in LabVIEW 2017 – Malleable VIs. I will give an introduction to Malleable VIs, discuss some of their benefits/limitations and show some examples of how Malleable VIs can improve code reuse. I’ll expand on this post with more examples in subsequent posts. Malleable VIs are designed to implement ‘generics’ in G, a feature which can be found in other languages (e.g. C#), allowing you to create functions where the data type is not defined in the function and is determined either at compile or run-time. The use of generics allows you to improve code reuse since you can write a function once for many data types. If you find yourself writing (or copying+pasting) very similar VIs where only the data type on the connector pane is different, you probably want to have a look at Malleable VIs. The first method of supporting multiple data types is to use a Polymorphic VI, but I consider it to be cheating – essentially creating a separate VI for each data type you need to support. This leads to large numbers of VIs that have to be maintained, most of which are essentially the same but with different data types on the terminals to avoid coercion. As an example, here is the OpenG Sort Array function. This is a polymorphic VI that sorts a 1D or 2D array of most LabVIEW datatypes (e.g. numeric types, strings, paths). This leads to 33 different VIs – the polymorphic VI itself and the ~32 VIs that support the different data types. Of course, if you wanted to sort an array of a datatype not supported by the OpenG Sort Array function, such as clusters, enums etc. then you would need to create an additional Sort Array VI for your data type to do so. If you look at the functions of the OpenG/MGI toolkits, there are many VIs which take in and pass out a variant. Since a variant is a generic data type (it can hold any type of data at run-time), LabVIEW will automatically coerce any data type to a variant at the connector pane terminal boundary. This allows you to wire anything into a variant terminal, perform some operation on the data and then return the variant out. Inside the VI, however, you must handle the different data types (e.g. by type-casting) and it also requires the user of your VI to type-cast the variant back to the initial data type. Below is an example of how this method is currently employed in the OpenG Read INI Section VI. The VI has a variant in (to define the expected data type/default values) and returns a variant which then has to be converted back to the original type. Introduced in LabVIEW 2017 was the new VI extension ‘.vim’ for Malleable VIs. With VIMs, the data types on the connector pane can adapt to any valid input (i.e. any data type where the VI can still compile / no broken run arrows). In the following sections, I’ll show a basic and an intermediate example of Malleable VIs which should help to explain the concept. I think most LabVIEW developers have at some point found themselves creating a VI like ‘Delay with Error Wires’ or ‘Tick Count with Error Wires’ for adding delays or benchmarking their code. Even if you haven’t, you’ve probably found yourself putting a sequence structure frame with a Delay primitive inside it and a wire going through. 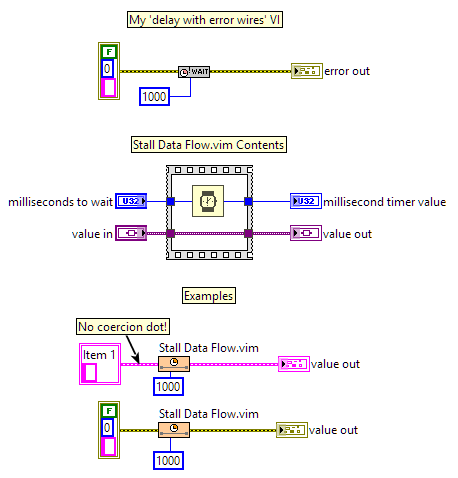 One of the Malleable VIs included in LabVIEW 2017 is Stall Data Flow.vim which replaces the ‘Delay with Error Wires’ with a VIM that can delay data flow on any wire type – making my VI ‘delay with error wires’ VI redundant (good!). The content of the VIM is very simple – exactly the same as what’s in my ‘delay with error wires’ VI shown above but if you look at the examples at the bottom, any data type passed in is passed out without coercion dots – so you can use it with any data type. That’s the basic principle of the Malleable VI. The next aspect of VIMs I want to introduce is the Type Selector. The type selector is a new structure specifically for VIMs that isn’t currently available on the palettes (as of LV2017 SP1 – probably coming in LV2018). It allows you to handle cases for specific input data types. The simplest example of which is to allow for a terminal to be a scalar as well as an array – as is the case in Increment Array Element.vim. 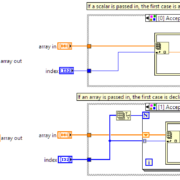 LabVIEW checks each case of the type selector until it reaches the first one that is valid (i.e. compiles), and it uses that as the implementation for the case. If a scalar is passed in, the VIM increments just the specified index and if an array of indexes is passed in, each element is incremented in a for loop. To take it slightly further, there is also a ‘match type’ node which breaks the type selector case if the data types do not match, giving you another tool for handling specific cases in your VIM, but I won’t go into those here. There are also more advanced uses for VIMs (to do with using Malleable VIs as OOP interfaces, and some examples with sorting of arrays using custom sort functions) but I won’t go into those in detail as this is just an introduction. Stephen Loftus-Mercer from NI (AristosQueue) gave an excellent presentation at the CLA Summit in Madrid in which he showed many examples of Malleable VIs. There are some examples included in LV2017 SP1 and some more that should be shipping with LabVIEW 2018. If you have access to the CLA Community, he has posted a further example here. This VI loads the INI file and if it (or some keys) can’t be found, uses the default values specified. It then writes the settings back to the file (which is useful to create the file on initialisation of the software). I create a ‘project-specific’ version of this VI (i.e. with a different cluster type definition) since I want to keep my top level block diagram (where I load the settings) simple. I now have a reusable API for loading/saving INI configuration files (with the initialisation code), I can easily see the path/default values on the calling VI but I don’t have to convert the variant back to my settings type on the calling VI (and no coercion dots!). Malleable VIs currently have one major limitation – they must be set to ‘inline’ in the execution properties. While this might not seem like a big deal at first (e.g. you have to disable debugging, no automatic error handling and must be shared/preallocated reentrant), this is actually more of a limitation than you might think – some LabVIEW nodes cannot be used in inlined VIs. According to the LabVIEW documentation, inline VIs cannot contain ‘certain’ block diagram nodes – the help mentions Property Nodes and Invoke Nodes (but there are others – I couldn’t find a list!). There is a flat restriction that inlined VIs cannot contain property nodes or invoke nodes (this includes class property nodes, even though the accessor VIs can be inlined). This unfortunately rules out many potential use cases for them – for example for UI manipulation. Below is an example of something I thought would be a great candidate for a Malleable VI – something which sets VI properties on a bunch of control references. This Malleable VI would allow me to wire in either a scalar or array of control/indicator references and set some property (e.g. visible, disabled etc.) on all of them at once. There is a LabVIEW Ideas exchange post about the issue, but with the inlining restriction of Malleable VIs I think it is more relevant now than ever so please go ahead and +1 it. I think Malleable VIs are a really neat feature included in LabVIEW 2017 and I hope that this post goes some way in helping you to understand them and unlock their potential in your LabVIEW programming. It was a bit of a shame to discover I can’t use them to replace some of my UI utility functions, but I see that there are still plenty of other uses for them. I’m very interested to hear/see how others are using Malleable VIs in their code – so if you have any examples/ideas then it would be great to hear them – please leave a comment below! MediaMongrels Ltd is proud to be part of the GDevCon Alliance, a partnership of LabVIEW™ experts and community leaders who have put together GDevCon, an independent Graphical Programming Conference. 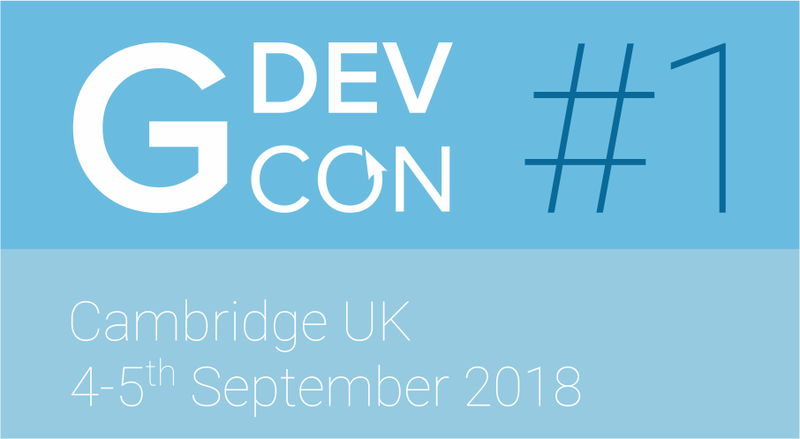 GDevCon#1 is taking place on the 4th-5th September 2018 at Girton College in Cambridge. 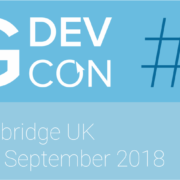 Sign up to the mailing list at https://www.gdevcon.com to receive all the latest news & updates leading up to GDevCon#1! 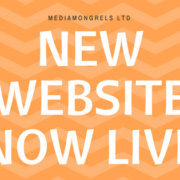 It is long overdue but the site has had a complete overhaul and refresh to bring it in line with modern design & standards. The new site will allow us to add new content more easily and we’ve also added a blog section – we’ll be posting more regularly with news and LabVIEW™ hints & tips.